Lucas Oil Late Models Set for Labor Day Tripleheader :Racers Guide – The Web's #1 Racers' Online Directory! 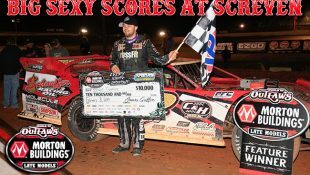 A band of the nation’s top dirt late model drivers will tackle three tracks in three days across three different states, battling for their share of over $200,000 in prize money along the way. The three-day weekend kicks off on Friday, August 31st at Ponderosa Speedway. The 3/8-mile oval, known as “Kentucky’s Baddest Bullring,” will host the Lucas Oil Late Model Dirt Series for the 14th Annual John Bradshaw Memorial – Presented by McGowan Excavating. The event will include a complete program of: Miller Welders Time Trials, Heat Races, B-Mains, and a 50-lap, $12,000-to-win main event. Competition on Friday night will also include: Crate Late Models, Super Stocks, and Four Cylinders. 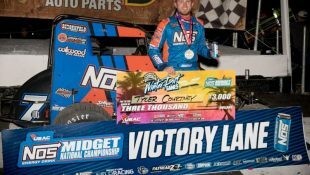 The action will continue on Saturday, September 1st when the tour ventures to Portsmouth Raceway Park for the Bob Miller Memorial – Presented by Pepsi. Bob Miller was a long-time and storied sponsor in dirt track racing. From launching the racing career of Eddie Carrier Jr., to his long-time partnership with Scott Bloomquist, Miller had a passion for racing unlike anyone else. Bob passed away in November 2014 at age 73, following a long-term illness. The Bob Miller Memorial – Presented Pepsi will feature a complete show of: Miller Welders Time Trials, Heat Races, B-Mains, and a 50-lap, $12,000-to-win main event. Saturday’s racing action at Portsmouth Raceway Park will also include Modifieds and Sport Modifieds. The weekend will conclude on Sunday, September 2nd at Tyler County Speedway. The 50th Annual Hillbilly Hundred will be the richest single-day event in history with its record-breaking $50,000 winner’s purse. A complete program is on tap for the Lucas Oil Late Model Dirt Series, which includes Miller Welders Time Trials, Heat Races, B-Mains, and a 100-lap main event. The Ohio Valley Roofers Legend Car Series will also be in action on Sunday, September 2nd.